Paddy Power's odds on the next government are listed here, and this is Adrian Kavanagh's analysis of recent opinion polls. 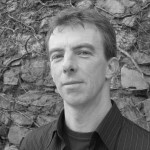 Eamon Delaney is the director of the Hibernia Forum, he's also a writer, journalist and former diplomat. We discussed their general election briefing and mentioned the UN's target for overseas aid, which Ireland falls far short of. Resistance to reform of Ireland's arcane legal system is detailed here and here.